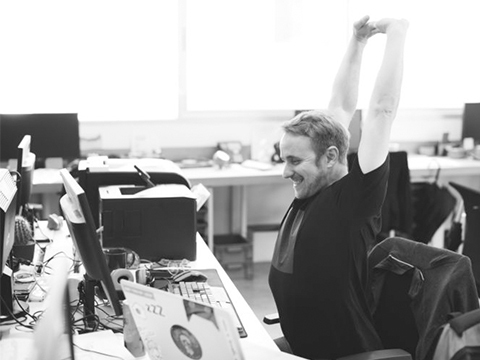 Specializing in workplace wellness, we bring STRESS RELIEF and WELLBEING to your office through Corporate Chair Massage, Office Yoga, and Meditation. Discover Why Over 1,500 Companies Trust Spa Flow to help their workforce. Our Chair Massage & Yoga help you BOOSTE MORALE, REDUCE ABSENTEEISM, and INCREASE PRODUCTIVITY. We Make it EASY to Feel Better at Work. Large or small company or event… We will design a custom program to fit your needs. Easy to use custom online scheduler for your staff. Event experienced, licensed and insured massage therapists and yoga instructors. Entice leads to your CONVENTION OR TRADE SHOW BOOTH. Rejuvenate participants after a SPORTING EVENT. Say thank you to those special people at an APPRECIATION EVENT. Enhance a PRIVATE CELEBRATION EVENT.